We begin in the capital of the kingdom - the desolate city of Maya. Humanity has all but vanished. What few survivors remain inherit nothing but silence and a world full of unanswered questions. In the very center of the capital, a few survivors gather inside a great castle, in which they play for their very lives thrust into a mysterious game reserved for the last of the living. You are one of these last few: together with the others you know that you must band together to stay alive. Develop relationships with the other residents of the castle. At times like these social relationships are key, and who knows, you may be able to remember something about yourself too. Search for answers. Everything happens for a reason, and there is a shadow upon Maya that you cannot shake. What other secrets remain inside this strange city, unearthed when there’s nobody left to hide it? Become stronger. Learn magic, or practice swordplay; the future is a mysterious, dangerous place, made even more so by the game in which you are trapped. Or forget it all and enjoy the ride. Can one person really stop the world from ending? You might as well let it go. Take it easy, smile, laugh in the days you have left. So passes the days at the castle. You can do as you wish, but follow your heart. There’s not enough time left to regret anything, not enough at all. For only one will survive. 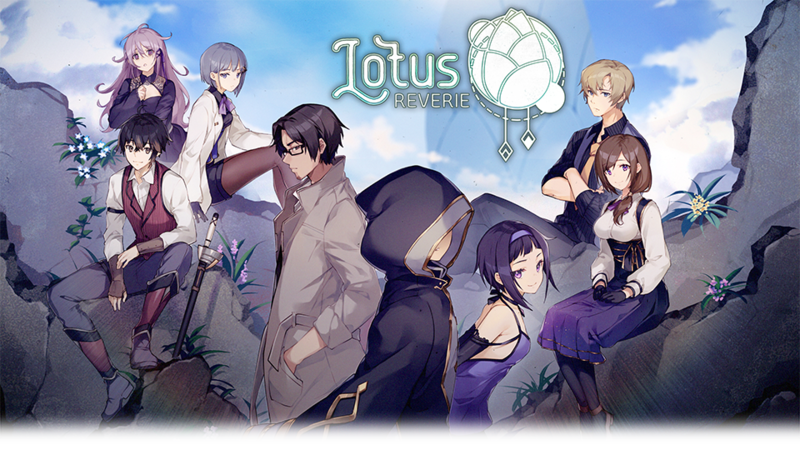 Lotus Reverie is actually in Development. We want to release during Q1 2019, and it will release in English, Spanish and Japanese. You can help our development by coming to our Patreon! You will have access to early updates and beta versions here at Itch.io.